If I misplace my iPhone one more time, Eliot is going to have me committed. I neatly place it in the pocket of my handbag every time I use it. Somehow, some way, it falls out into the major portion of my handbag or it slides deeper into the pocket. Either way, I go into a complete panic looking for it. If I lose it, my life gets interrupted in ways I don’t even want to think about. Yes, I have everything backed up. I even have an iPad Mini with all of the same information. That’s not the point. The last time this happened to me was just last Friday. Eliot and I were getting out of the taxi at the Delta terminal at JFK. Before the cab pulled away, I double checked to make sure I had my iPhone. I asked Eliot not to let the driver move the cab until I found it. Just the opposite happened. The driver quickly pulled away and, of course, my iPhone was no where to be found. I had a total panic attack on the sidewalk. Surrounded by all of our luggage, we started ripping my handbag apart. Eliot said, “I know it’s in there.” I was doubtful. We finally found it on its side, deeper into the seam than ever before. We were both relieved and couldn’t wait to get a drink. 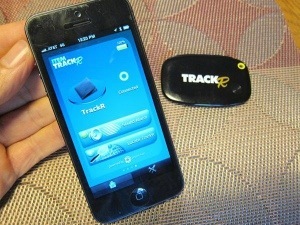 I decided right then and there that I was buying several tracker Tiles when they finally make their debut. 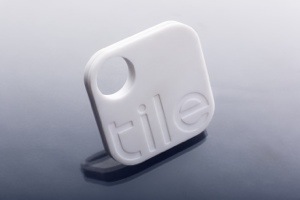 Tile is a new product that combines tiny plastic tags with a companion smartphone app and locates lost stuff. The Tile itself is a little larger than a postage stamp. It costs $19 for one, or $50 for a set of four. The Tile will locate anything I don’t want to lose. 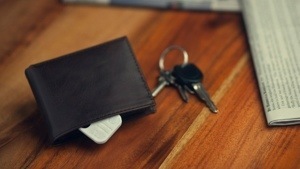 It can be affixed with a two-sided adhesive strip to a computer or a TV remote, or, using a built-in loop, it can be fastened to a key chain. If any item is lost, the Tile iPhone app will give visual “warmer, warmer” directions to the object within a 50-to-150-foot range. A tiny speaker inside each Tile emits a little beep, helping me zero in once I am close. Tiles last a year on a single battery after which they must be replaced. 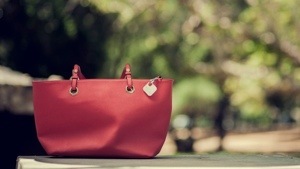 The company raised more than $2.5 million in pre-orders. I guess I’m not the only one losing things.